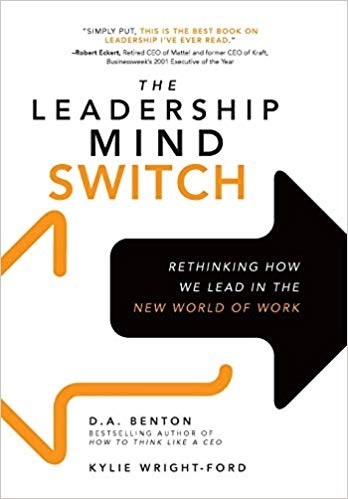 The Leadership Mind Switch: Rethinking How We Lead In the New World of Work by D. A. Benton and Kylie Wright-Ford makes an excellent textbook for any modern course on leadership, including educational leadership. It deals with how our modern culture impacts how leaders need to think and operate and it also deals with leadership qualities that never change. Get a copy for any aspiring leader you know. The leadership game has changed over time and continues to do so. The book’s premise is that a mind switch is needed now to be ready for the future that will be vastly different. 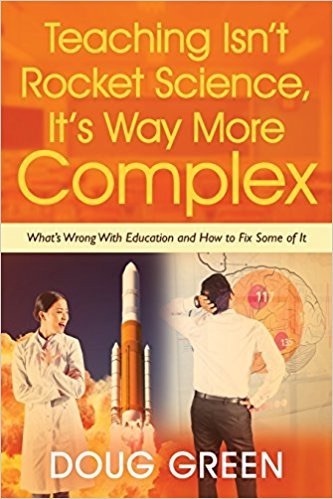 This book offers tools and information that you will likely need to lead in the future. You will need skills to understand and relate to people of all kinds. The more human aspect of leading is emphasized here. Leadership is everything in business and schools and since someone is going to lead it might as well be you. We know that information is rapidly expanding and that there will be welcome and unwelcome consequences. Technology is ever expanding and robots may soon join your staff. Telecommuting is on the increase so you need to be able to communicate with others from almost anywhere in the world. Office spaces and hours are changing and some people, even leaders, don’t have desks. Leadership today is about character and communication. They will have more daily contact with everyone and must be able to connect with all types of people. Leaders will have to understand and use technology and decide how it will be used. Leaders must decide the rolls that things like virtual reality, augmented reality, artificial intelligence, and the Internet of things will have. Worker turnover has increased so it’s up to leaders to be the kind of people who can persuade workers to stay. The workplace will be more diverse so the leader needs to be able to relate to everyone. They must understand who they are speaking to, tell stories, and know that feelings count. They also must avoid generation gap issues. A description of the generations is included here. Leadership is ever evolving. After setting a course (vision) a leader needs to develop a team that collaborates, cooperates, and enjoys each other. They need to be informed, curious, stable, positive, and accountable. They need to be able to relate to all generations and with people from all cultures. The one thing all followers want is trust and loyalty. Without them, nothing else matters. You must be accessible and not play loose with the facts. Speak frankly but be discreet. Keep in mind that older workers are more likely to be cynical. Clear the air when you slip up with something you said, done, or implied. Do it privately on the phone or in person, not via email or text. Project confidence, which is a combination of courage and curiosity. Show that you are continuously learning and willing to try new things. Know your limitations and ask for help. Know when it’s time to change course rather than being stubborn. When it comes to technology lean towards early adoption. As a leader, you need to have a wide range of interests. This is where being curious helps. Be open-minded and nonjudgemental. Learn to ask good questions and listen well to the answers. The concept of grit is covered here. See my summary of Angela Duckworth’s book Grit: The Power of Passion and Perseverance. You need to be consistent and set an example every day. Don’t be moody. Everything you say and do communicates a message. In addition to words, things like posture, clothes, tone of voice, body language, facial expression (smile), and energy level communicate. When you do talk, don’t talk too fast. With younger people, you may find yourself texting more. Tell staff to only send emails that they would put on the wall for everyone to see and not to read between the lines. Some people are comfortable with physical contact, but not everyone. Stories are important and powerful. You need to set the scene, explain what happened, and wrap it up with a moral or key takeaway. Keep current and interesting, which will make you dynamic. Dynamic leaders introduce new ideas, are creative, bring energy and focus, change with the times, consider all situations, and model confident behavior. They enable change they don’t just manage it. They adapt to new technology, make course corrections when needed, and model the right attitude. They make work fun, interject humor, and accept and embrace all team members. They constantly recognize the actions they want to see. This entry was posted on Monday, April 8th, 2019 at 7:51 am	and is filed under Book Summaries, Business Books, Leadership Books. You can follow any responses to this entry through the RSS 2.0 feed. You can leave a response, or trackback from your own site.